I follow many personal finance blog, one of them is basunivesh.com. Bausnivesh.com is one of the Top personal finance blog run by Basavaraj Tonagatti. He is certified financial planner (CFP). We requested basavaraj to share his success story and important lesson about personal finance and he was kind enough to share the details. We are really thankful to Basavaraj for his time in answering all the questions. So, without wasting much time let us go through the inspiring success story of Basunivesh.com. Who is Basavaraj? Let us know about yourself. Basavaraj – I am non graduate non finance related person. Basically I belong to a small town of North Karnataka. My education qualification is Diploma Automobile Engg. But currently staying in Bangalore. Since childhood, I had a strong intentions to learn and read, especially about finance. I became LIC Agent in the year of 2003 (not by choice but to earn some extra income). Later on started Mutual Fund Advisory in the year of 2008. During this period, I was working in BPO. Hence, not able to concentrate too much on my business. Just fed up with BPO night shifts, thought to come out of it. First time heard about CFP. This I thought a way to come out of night shift trap. Hence, completed my CFP and left the job. Small town boy > Garage Mechanic in Bombay > LIC and MF Agent >BPO Employee > CFP and Blogger. Tell us about your blog Basunivesh. 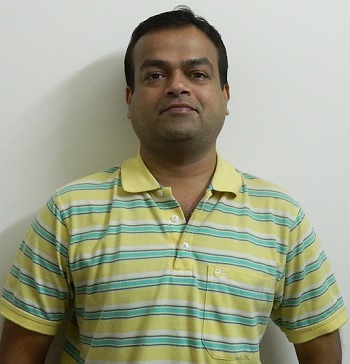 Basavaraj – When I completed my CFP, I know that I don’t have a client base who can even pay me a fee of Rs.1. Hence, just started BasuNivesh to share whatever I learn. Slowly it started to pick and currently considered as one of the top personal finance blog in India. This blog is a meant to share of whatever I learn. Currently we have around 3,00,000 monthly page views, 1,500 E-mail subscriber, around 2,000 Facebook Fan page likes and Alexa ranking stands 3652 in India and 50,459 in world (As of 12th August, 2015). Are you a full-time blogger or a part-time blogger? Basavaraj – Yes, I am a full-time Blogger. What sparked your interest in personal finance blogging? How did you start blogging? Basavaraj – As I said earlier, when I completed CFP, I don’t have a client base who can pay me the fee. I raised from low level. Hence, not a client base too. Therefore thought to have a blog which can reflect my knowledge and ideas. This actually sparked me to start a blog. You may notice my earlier posts, there you find many grammatical errors. Because I came from a small town with no knowledge of affluent English. But I thought to simplify myself and share the same with others. This clicked me. At the end of day readers need simplified way of teaching than complicating. Because there are many ways to complicate in current time. Do you provide any service from your website? How do your family consider blogging as a career? Basavaraj – They are totally agree with my choices and decisions. In fact they very much co-operate me to go forward take it as a full time profession. What have you learned from blogging – how this has improved your life? Basavaraj – Each post I publish on blog is a learning. At the same time, I get huge comments on blog. Each comment will come with unique problem. This automatically teaches me a lot about personal finance. How do you choose your blog articles? Where do you get the inspiration for writing the blog? Basavaraj – There is no specific way of choosing blog posts. Whenever I find an interesting idea or news items, I do share the same. Inspiration to me is my own life and hard work. It always pays you with dividend only if you have patience and never give up attitude. Do you practice what you preach? How do you manage your own finances? Basavaraj -Yes, I definitely practice of what I preach. I am a late starter when it comes to investment. But I took it as a challenge and finished the basic emergencies like Term, Health, Accidental Insurances and creating emergency funds. At the same time, identified my goals and investing robustly to achieve them. Expenses = Income – Investment. What are your top three tips in personal finance that you think everyone should know? 1) Give important to both INCOME as well as to INVESTMENT. 3) Learn…learn and learn is the only solution. Who are your favorite Bloggers / Do you follow any blogger online? Basavaraj – I regularly follow three bloggers. 1) Manish from Jagoinvestor- In fact he helped me to learn more about completing my CFP, Blogging and shaping my dream. 2) Mr.Pattu from freefincal-I treat him like my mentor all because of his simplicity, in-depth analysis skill and the way he creates the calculators for all of us. 3) Mr.P V Subramanyam from Subramoney-I love the way he teaches and write blog daily. We being younger to him must learn a lot about his thinking and money management. Finally, AIFW (A Facebook group called as Asan Ideas for Wealth run by Ashal Juahari). This is one of the most active Facebook group, where I can find a lot to learn myself. Would you like to share your income sources? Or how much money you are able to generate from your blog or business? Basavaraj – My source of income are from my advisory business (LIC+MF), Sharekhan Franchisee, Google AdSense and from Direct Advertisement. I am hesitant to say the exact figure. But I can say, from Blog total monthly income crosses a 6 figure. Would you like to share how much time you are spending daily for work? Basavaraj – My day starts with 5 o’clock in the morning and ends at night 9 o’clock. As I said above that I work from home, I dedicate major time to work. You may say around 10 hrs a day. What are the biggest challenges you have faced as a blogger? Basavaraj – Technical issues 🙂 I am non computer non tech savvy guy. So, I feel it tough to manage some issues of blog. However, now capable of managing the majority of things. If I get stuck then I hire an expert and complete the task. If I want to ask you to share a simple thumb rule for blogging, what that would be? How do you spend your time, when you are not blogging? Basavaraj – I love to spend time with my daughter. I play all games with her (irrespective of considering the age or relation), Jogging, doing Pranayama, Reading and watching TV. What are your future blogging plans? Basavaraj – Planning to start blogs in other niche. But it needs huge patience and expertize in the field. Hence, as of now, no such plans. Thanks again Basavaraj for taking the time for sharing your amazing success story with reader of MoneyExcel. If you have any question for Basavaraj that we missed to ask during the interview, please feel free to ask in the comments below. and from july to september i din`t had pf deduction,,,,,,, but from october i want contribute to pf as it ll be tax benefit if lockin for 5 years with contribution . is fine i start with gap of 3 months? or it ll be problem while withdrawal….. Very inspiring basavaraj. Great idea by money excel to choose him and post his interview. Very interesting. Wish you good luck Mr. Basavaraj.